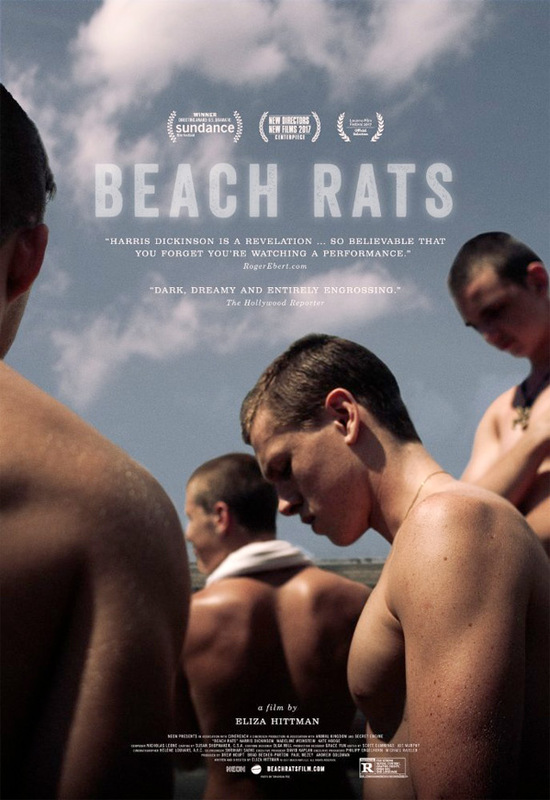 "I don't really know what I like…" Neon has unveiled the official full-length trailer for indie drama Beach Rats, the second feature from filmmaker Eliza Hittman, following up her debut It Felt Like Love. This originally premiered at the 2017 Sundance Film Festival in January, where it won the Best Director award. Newcomer Harris Dickinson plays Frankie, an aimless youth on the outer edges of Brooklyn, struggling to escape his bleak home life. He spends his summer balancing time between his delinquent group of friends, a potential new girlfriend, and older men he meets online. The cast includes Nicole Flyus, Frank Hakaj, Kate Hodge and Neal Huff. Despite some good reviews, this looks like pretentious art house drivel to me. You can also still watch the first teaser trailer for Beach Rats here, to see even less footage from this. An aimless teenager (Harris Dickinson) on the outer edges of Brooklyn struggles to escape his bleak home life and navigate questions of self-identity, as he balances his time between his delinquent friends, a potential new girlfriend, and older men he meets online. Beach Rats is written and directed by up-and-coming American filmmaker Eliza Hittman, of the film It Felt Like Love and a number of short films previously. The film originally premiered in-competition at the 2017 Sundance Film Festival this year. Neon will release Hittman's Beach Rats in select theaters starting August 25th this summer, for those interested.